Christ Community Church believes that children are a gift from God. 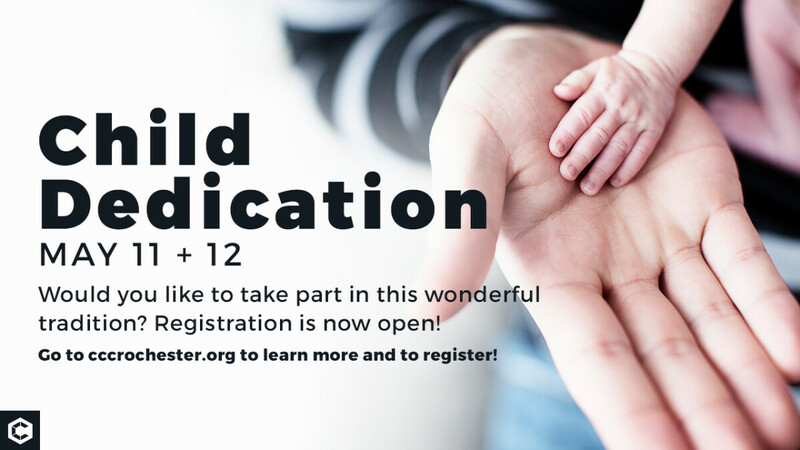 Child dedication is a wonderful tradition where we get to recognize and celebrate parents publicly declaring their commitment to teach their kids the importance of a relationship with Jesus Christ. Child dedication occurs twice yearly: May and November.